Virtue-parami, which in the Theravada tradition is called nekkhamma, usually translates as ‘renunciation’. Nekkhamma is one of the ten paramis, one of the ten virtues. The other nine are—generosity (dana), morality (sila), wisdom or discernment (panna), energy or right effort (viriya), patience (khanti), truthfulness (sacca), resolute determination (adhitthana), loving-kindness (metta), and equanimity (upekkha). On the one hand we have meditation practice—the need to cultivate sitting and walking practice in its strictest form—and on the other hand we have the manifestation of dharma. The ten virtues (paramis) are related to manifesting peace, understanding and loving-kindness. So, there is the formal sitting and walking practice, and through these ten avenues (ten paramis) there is also the cultivation and manifestation of what is of value. I mention the ten paramis, but we are going to talk about only one of them—renunciation (nekkhamma). From a distance we might say that practice seems to be simple, and in a sense it is—it’s the simplest thing in the world. In another sense, however, it is a complex and interacting structure. 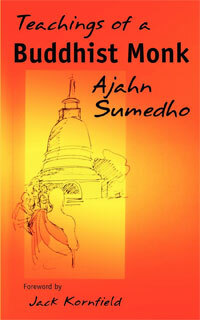 Nekkhamma (renunciation) I think is a good word, although it is not a popular one. Its meaning is exactly that—it is a giving up of mental and ­material things. Most fundamentally it is renouncing attachment, aversion and ignorance, renouncing whatever is toxic, whatever is an extra burden in our lives, whatever complicates and creates knots in our lives. Whenever I use this word ‘knots’ I always get a strong image which comes from the ancient India Upanishads. In these scriptures it is stated that liberation is ‘untying the knots of the heart’. So, whatever is a knot in the heart is something to be given up, to be renounced, to be let go of. Nekkhamma (renunciation), therefore, has a central place in the path of liberation, the path of untying what is tied, what is a knot. We might say that nekkhamma is the direct practice of nonattachment and that the other virtues are exercises in nonattachment in a less direct way. Generosity (dana), for instance, is obviously a practice in nonattachment. In order to be generous we have to let go of something. One virtue (parami) which needs to work in close association with renunciation (nekkhamma) is wisdom (panna), discernment. We should know what to let go of, when and how. Otherwise it is not renunciation. The beauty of this complex structure of the paramis (the virtues) is that basically they are authentic to the extent that they are imbued with all the other paramis. If one of them stands alone without being fed or nurtured by the other virtues, it is something different. If nekkhamma (renunciation) is not impregnated with panna (discernment), it doesn’t have a liberating quality, it is not a parami, it is rather a pseudo virtue, something which basically generates more suffering. Mature nekkhamma, mature renunciation, mature letting go, has a freeing quality. When we say ‘renunciation’ we mean giving up what is toxic, what is extra. First, of course, we need to understand what is meant by toxic or extra. Making our lives and minds simple is the way. This means unifying our minds and lives. ‘Simple’ means ‘made of just one thing’—this is the meaning of the word ‘simple’ in Latin. A simple and more unified life and mind means a happier life and mind. In case we get upset about this word ‘renunciation’, it is worth explaining that the aim of renunciation is happiness, period. It has always been so. Maybe at times a number of misunderstandings have obscured the deep meaning of this word and this practice. It would be helpful for us to start looking at nekkhamma in our practice. If we don’t have the capacity to renounce, to let go, we shall never be able to come back to the breath or whatever is our point of concentration. It is essential that we practise letting go—letting go of our involvement with thinking and emotions, with our worries, identifications, preoccupations and all the rest of it. So we cultivate nekkhamma whenever we sit or walk in meditation. We do this first and foremost. We cultivate the capacity to let go of the habitual, mental movement, and we return to the centre, to the breath, to mindfulness. 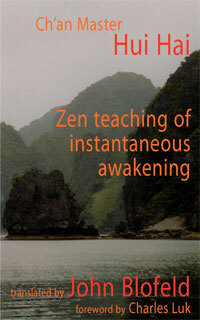 It is an essential part of the meditative practice—learning to let go. We also need to understand the value of doing it and to experience the gradual enjoyment of it, the simplicity of it. When we go back to the breath we are at one, the mind is one, the mind is made simple. Five seconds earlier it was complicated, twisted and distorted, and now it is simple, for a while. Then it gets complicated again and we need some more nekkhamma, some more letting go, some more lightening up, softening—learning and relearning the same fundamentals, with patience (khanti)—and patience is another parami which is based on the capacity to let go. Letting go, simplicity and peace go hand in hand. We shall see this experientially in our practice. Of course, all this work of letting go, of simplifying, of making one, of pacifying, takes mindfulness. But mindfulness is the central ingredient of all the virtues, so naturally it is also at work in nekkhamma. Can we practise generosity or patience without mindfulness or awareness—awareness of what generosity is or is not, awareness of how generous we are or are not? Mindfulness, then, is the central ingredient of each parami. The formal practice and retreats could safely be defined by a long list of renunciations. We renounce our usual daily routine, vacations, time with friends and family, comforts and so forth, the aim being to develop a simpler life, a life in which inner values are cultivated. Again, the aim is happiness, the deepening of what is of value. At the beginning, of course, this can be hard. Sometimes people go into a retreat and then leave it, or spend a considerable amount of time debating whether to leave or not. Usually, as many old-timers know, we end up appreciating it despite the difficulties entailed by nekkhamma, renunciation, and we appreciate it so much that we do it again. Otherwise, it would be the last thing we would ever conceive of doing. We return because of the extreme simplicity and simplification, because thanks to doing that it is more possible to get in touch with some personal truth and deep human truth. If we are at the beginning stages of our inner search and go into retreat, we may feel deprived and then suffer because of that feeling of deprivation. Sometimes on retreats requests are made for special foods or for this or that because of important needs which have to be honoured. At other times, however, I suspect the requests are merely forms of resistance to the simplifying process. It is up to us to see what is happening, to see what the drive is behind asking for certain things. Again, without even realising it, in the beginning phases of our search we can easily think in terms of compartments—when we are in this room, this is the practice, and when we are in another area of the building, it is not practise any more, finished. However, nondualism is a fundamental principle of the practice. There are no boundaries within which the practice happens; everything is practise. Usually it takes time for us to realise this fact and we tend to have a fragmented view. This is one of the reasons we often insist on continuity of practice and on making it gradually more seamless. Formal practice can, so to speak, carry over into our attitudes towards practice and our attitudes towards life. We do not enjoy being split so much and living under different principles. We have certain principles within the meditation hall and different ones outside the meditation hall. At first we are not aware of the split, but once we start realising that this becomes a cause of suffering, then it is an interesting turning point. When we start feeling that letting go of our identification or not getting stuck in this and that is the same as saying, ‘Be free!’ then that injunction acquires a special power. It has to do with energy (viriya)—the way we tell ourselves, in other words, to let go. But even more importantly again it has to do with understanding. The more we basically understand the Four Noble Truths—suffering, its cause, liberation, and the way that we do this—and apply this understanding to everyday life situations, the more ‘letting go’ becomes a reality. 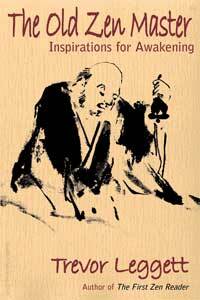 The roots of nekkhamma (renunciation) are in understanding. To the extent that we understand suffering and its causes, to this extent is our invitation to ‘let go’ made powerful and charged with energy. Sometimes it works like magic. We say to ourselves, ‘Let go!’ and we wake up and let go. Maybe we are passionately chewing over some disappointment and when we say, ‘Let go!’ we actually do so. This is because there is some understanding there plus this moment of mindfulness and energy. ‘Let go!’ then has an immediate result. But maybe sometimes we say, ‘Let go!’ and nothing happens. Many of us know that all too well. In other words, the mind stays identified, remains stuck wherever it is. At this point we just have to remember that we are students of awareness, of mindfulness, which means we start contemplating non-nekkhamma, clinging. As we all know, this is a very important frontier of our practice. 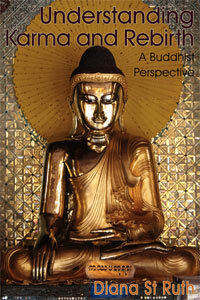 It is a first-class practice, a fundamental learning about ego, and again about the Four Noble Truths. So, when we say, ‘Let go!’, we either let go there and then, or we don’t let go and start contemplating attachment. Either nonattachment is almost ready, almost ripened, and a little push is enough for the fruit to fall, or there is strong attachment but we have the capacity to contemplate that attachment. The possible trap in this is that if it doesn’t immediately work we drop the whole thing and say, ‘I tried but the attachment remained, so no good.’ But attachment stays in order for us to contemplate it. This is the perspective of the practice. If we put ourselves wholeheartedly into a perspective of practise, the attachment will stay and keep presenting itself so that we can understand it more and more, literally. Attachment and heedlessness become themes for our understanding, for our intelligence to develop; they are an invitation for the joy of liberation. And this has to do with nekkhamma (renunciation). Discernment (panna) works closely with renunciation (nekkhamma). We can easily see this in everyday life. Making a phone call can be nekkhamma. Not ­making a phone call can be nekkhamma. But it takes discernment, it takes panna to tell us. We may see that we are about to make a phone call out of some compulsive search for security which isn’t ­really necessary. So we are adding unnecessary weight to our day. This therefore is something to be dropped. On the other hand we may be resisting and postponing a phone call, accumulating fear and anxiety around it. Now the extra weight is in not making the phone call. In the first case simplicity is in not using the phone and in the second case simplicity is in using the phone. Simplicity is the aim—the same word for two opposing things. Sometimes we are afraid of letting go. It is not a rational fear. If our lives are full of anxiety, anguish, we may have a difficult time understanding what letting go is, or seeing the point of it. When it is a case of letting go of one worry just to fall back into another worry, we do not feel motivated and can become very confused. This is why renunciation (nekkhamma) is practised with sitting practise on the one hand, and with the other paramis on the other hand. From sitting practise we can get some peace and from the other paramis maybe we can get some loving-kindness, some equanimity. So we let go of some identification and we experience some space of peace, equanimity and loving-kindness. That is very different from a general confusion in which there is a falling into one worry after another. Letting go is inevitably facilitated by having developed some peace already. It is exactly what we can see in our practise. At the beginning, watching our breath and going back to watching the breath may be our task, our object of concentration—we may rather stay with our fantasies, imaginations, the new and old films, but since the Buddha and other venerables up there say that going back to the breath is a good thing, out of blind faith we go back to it. We may not be really convinced—the mind seduces us in many ways—but we force ourselves into going back to the breath. If we keep practising wholeheartedly—and this is very important—at some point we find we prefer going back to the breath to anything else, we prefer mindfulness. This does not mean that we don’t frequently get lost in thoughts and emotions, but whenever we remember the practice, whenever we remember the possibility of being mindful, of going back to the breath, we prefer to do that. This is a major turning point. We used to prefer getting lost in fantasies and so forth, but now that preference is not for those things any more. So we can let go much more easily, more often—not always, but much more easily—because we enjoy mindfulness of the breath or mindfulness in general. In the beginning it was much harder; there was not a great deal of enjoyment or interest. Letting go, simplifying, is connected with this interest, this new form of joy. Whenever we are united with the breath, we feel strongly motivated to let go, strongly motivated to renounce (nekkhamma). The same will happen in everyday life—we shall see that whenever we come back to being aware, we literally feel better and more easily let go of identifying with this and that. Nowadays attraction or desire is considered to be a value in itself, and so with excitement. If there is a desire for something or an attraction towards it, there is the feeling that this is something good. It is good to feel attraction, to feel desire or excitement. Many things in our culture are engineered to elicit desire. Basically, however, if excitement is deemed to be the highest good, this implies an ideology of total desperation. In other words, tension is the highest good. We are surrounded by this culture and it can take practise and reflection to question it. Nekkhamma means that we remain motionless within attraction, that we do not act it out or proliferate thoughts around it. If we remain still, appreciation develops and we do not become gripped by suffering brought about by attraction or clinging. It is worth experimenting with very real things. We may hear some music in the distance, for example. We know the music and like it, and suddenly we have a clinging attitude towards it: ‘Oh! Listen, listen, listen, listen . . .’ And we add something more, something extra. If we just remain still, however, free, that music is appreciated much more deeply. The same with discomfort. Perhaps we are tired. Can we be mentally still in our fatigue, in our tiredness? That is giving up our proliferation of thoughts, ‘I am so tired . . .’ and on and on. ‘Oh, my feet!’ All this is very natural, but there is an extra charge to it which we can happily give up and be freer, just simpler. This is not esoteric stuff; it is just being still. If there is attraction and we remain still, it turns into appreciation. Discomforts become much less unpleasant; there is space in the discomfort. This takes the attitude, understanding and generosity which is connected with nekkhamma (renunciation). Why does it take generosity? Because we give ourselves over to the task, or if we have been doing it for a while it isn’t a task any more, rather is it a joy. Whenever we do little experiments along the way, such as the ones I have mentioned, we do not forget. We see the direction in which to go and we don’t let go of that. It then becomes organic—from trying some simplicity, some renunciation, to enjoying more simplicity, to wanting more simplicity, and to the freedom and warmth of simplicity. Being ­simple does not mean to be dry, it means being one rather than being fragmented or complicated, one with what happens, one with other ­people, one with ourselves—simple. One with without extras. Wonderful post; well-timed for me. Thank you. Amazing reading, Thank you for this. Corrado Pensa clears the tangles of practice with encouragement and practical guidance.